How we all celebrate New Year’s Eve is a personal preference. Some of us can’t wait for the party, while others are happier watching the fireworks on TV. Regardless, take the opportunity to congratulate yourself for your achievements across the year and look forward to new opportunities, starting at one of these top spots. 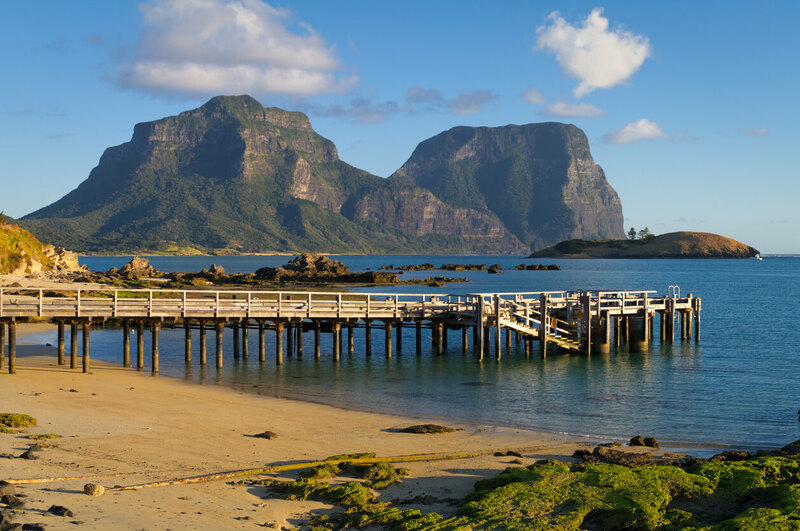 Be among the first in Australia to see 2019’s sunrise, on Lord Howe Island. How would you like to be one of the first in the country, to see the sunrise of 2019? Lord Howe Island is the place to be, for bragging rights. This is going to be a quiet celebration, but the sparkles are provided by nature herself. You’ll have to get in quick, as only 400 people are allowed to holiday on the island, at a time. Once you’re there, get ready for the perfect way to spend New Year’s Day, swimming and snorkelling on the backdrop of Mt Gower. If you’re a foodie, head to Tassie to bring the New Year in while thrilling your tastebuds. If you’re a foodie, head to Tassie to bring the New Year in while thrilling your tastebuds. Taste of Tasmania runs from December the 28th to January the 3rd, across Hobart’s vibrant waterfront. You’ll enjoy a Culinary Kitchen program featuring more than 20 chefs, cooks and speakers, with workshops and hands-on cooking classes. You’ll also find stall holders selling scrumptious goods and live music over four stages to keep you dancing, while you’re eating. Queensland’s Woodford Folk Festival is one that embraces all ages and preferences for an inspiring New Year’s Eve. It runs from December 27th until January 1st and encompasses everything from live music to yoga classes, children’s craft sessions, circus schools, political speakers and delicious, international food. This year, the line up includes speakers, Anthony Albanese and Cathy Van Extel, and bands, The Cat Empire and Gold Member. Secure your tickets now, for Sydney Harbour action. If you don’t mind battling the crowds, it’s true that Sydney Harbour really does put on one of the best New Year’s Eve shows in the world. 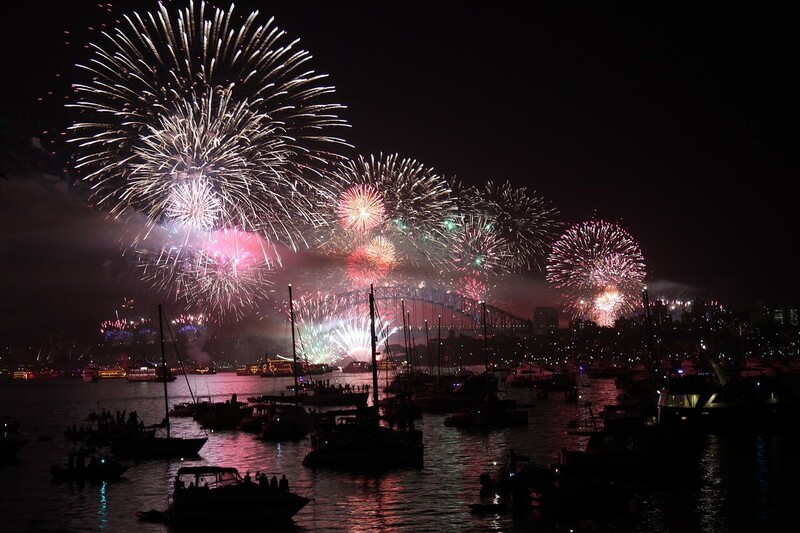 This year you’ll see an aerial display at 6:00pm, a welcome ceremony by Gadigal Elders, family fireworks at 9:00 pm and the Harbour of Light Parade, before settling in for the famous explosion of colour after the countdown. In terms of events, you’ll need to get in now to secure a ticket. A few enticing options include the Clark Island Garden Party, NYE Nielsen Park, A Casino Royale New Year’s Eve, Fantasea Harbour Cruise and Golden NYE at the Opera House. Whatever you choose to do, be sure to welcome 2019 in a way that fills you with inspiration, in order to invest in a dazzling year to come.